CNES and the French defence procurement agency (DGA) have confirmed their partnership for the Elint project. The Elint demonstrator comprising 4 microsatellites will pave the way for an operational intelligence programme to establish a global map of radar transmitters. Elint is the 1st concrete application arising from the framework agreement between CNES and the DGA. On 13 July 2005, the CNES Board of Directors approved CNES’s participation in the Elint project, an electromagnetic intelligence preparatory mission. CNES and the DGA will have shared oversight responsibility for the Elint demonstrator. 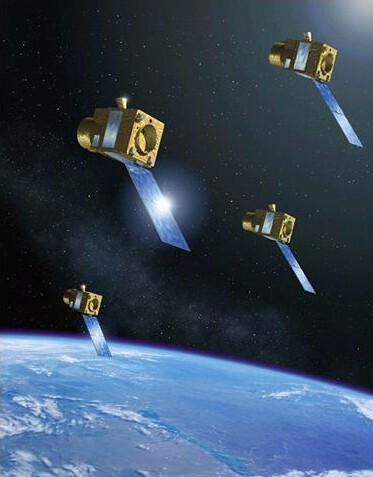 Comprising 4 microsatellites based on CNES’s Myriade series and placed in Sun-synchronous low-Earth orbit, Elint will pave the way for an operational programme to establish a detailed global map of radar systems. The instrument will be developed and produced by a consortium including EADS Astrium and Thales Systèmes Aéroportés. EADS Astrium will be in charge of the overall system, while Thales will work as co-contractor for the satellite payloads and user ground segment ( for surveillance programme planning and data processing ). The Elint electromagnetic intelligence demonstrator is the 1st concrete application arising from the framework space research and technology agreement signed by CNES and the DGA in January 2005. This agreement will strengthen cooperation between the 2 partners in space-related military applications at technological, programmatic and strategic level. CNES and the DGA are co-funding the project and have shared oversight responsibility. An integrated project ownership team led by 2 project managers reporting to the respective partners will oversee the project. The DGA is in charge of the mission architecture, payloads and user ground segment. CNES is responsible for engineering ( including some system engineering work ), buses, control centre, satellite integration and launch. The Elint microsatellites will be launched in late 2009 and will operate for 3 years.